Who called it Bombairiya and not Much Ado About Nothing? Whoever listed debutant director Pia Sukanya’s Bombairiya as a black comedy drama, has possibly not seen the film. Perhaps the kindest way of describing it, would be an underachieving drama. One, that is unfortunately, neither as funny as its makers think it is, nor as entertaining as its viewers hoped it would be. It is only its stellar star cast that prevent Bombairiya from sinking like the film’s punchlines often do. 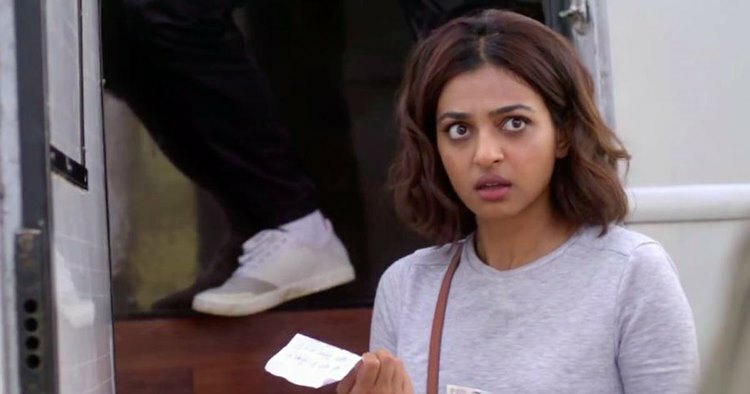 Bombairiya begins with the roadside accident we were generously made privy to in the trailer, as a result of which, professional chintamani Radhika Apte’s phone gets stolen. 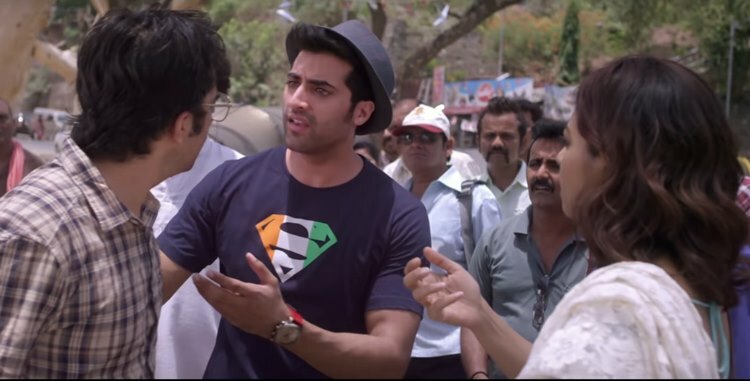 Into this mess, drives in Akshay Oberoi, who goes from unwilling participant to enthu-cutlet so fast, his character should have come with a whiplash warning. But it isn’t just the woefully-wasted Askhay’s character arc that makes you wonder why the filmmakers thought they could pull this complicated screenplay off. Every single actor in this film, be it Amit Sial as the rogue assassin, or Adil Hussain as the corrupt, murderous politician, has been given a raw deal, with barely enough screen-time to make a lasting impact. 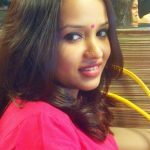 What follows after the accident is a long, confusing chase for a missing phone with an incriminating video (for Apte), and a mysterious package (for Sial and Hussain). What ties the two together is the ‘thief’ (Siddhanth Kapoor) who’s stolen Apte’s phone, and apparently is also the most important witness in the mystery of the missing box. Thrown into this already bewildering mix is a corrupt politician who is in jail ( a spectacularly wasted Hussain), an assassin/cop (the criminally underrated Sial), a witness in a high profile case, a film star who is cheating on his wife (Ravi Kishen), the politician/film star’s wife (Shilpa Shukla), two fans of the said film star (Nishant Lal and Sumeet Thakur) and a hardworking but not-too-bright cop (Dhanendra Kawde). There’s very little to tie the lines between this large pool of characters, and the director barely even tries. Written by Michael Ward, Pia Sukanya and Aarti Bagdi, the film had so much potential for an absurd, fun caper making a point about society and Mumbai’s criminal underbelly that is lost because of the filmmakers need to be quirky, instead of coherent. The sheer potential of the script and the well-chosen cast makes you want to give Bombairiya the benefit of doubt. But it is rather difficult to justify a comedy that’s not funny for the most part. Because chaos for the heck of it, rarely makes for a good plot-line.